Spohn's expert compliance consultants deploy with all the tools necessary to perform your HIPAA risk assessment within a process specifically designed to help you achieve adherence to the HIPAA and HITECH security rulings. Our services combine reports and documentation with consulting time built into the engagement to allow personalized interaction with the HIPAA expert performing the audit. This provides a great ROI for any company looking to improve their security and satisfy HIPAA/HITECH requirements. As an IT cybersecurity consulting agency, we take a security-first approach to guiding our clients in all of our regulatory compliance audits. This allows us to truly help our clients improve the integrity of their data and systems through detailed recommendations for remediation. 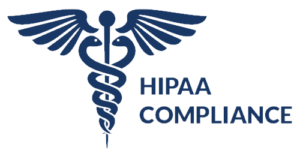 Our HIPAA Audit services are designed to help you achieve regulatory compliance while providing a holistic review of your IT security posture. Our goal is that our detailed, third-party HIPAA risk analysis will allow your team to enhance and/or develop effective safeguards for protecting PHI and ePHI entrusted to your care. Not all HIPAA consulting firms are created equal. Many leave out the deep technical testing which solves the immediate regulatory requirement, but leaves the organization vulnerable to technical exploits and puts PHI at risk. At our core, we are a cybersecurity consulting agency with a firm belief that any assessment meant to satisfy HIPAA or HITECH cannot simply be a "checkbox" audit. We include the deep technical security testing so you can truly know the effectiveness of your controls.